Los Angeles, CA – (August 10, 2017) Flagship Food Group and 505 Southwestern® are excited to announce the launch of a unique campaign, the “Clash of the Hatch,” a food truck challenge curated by 505 Southwestern® and chef Eric Greenspan. 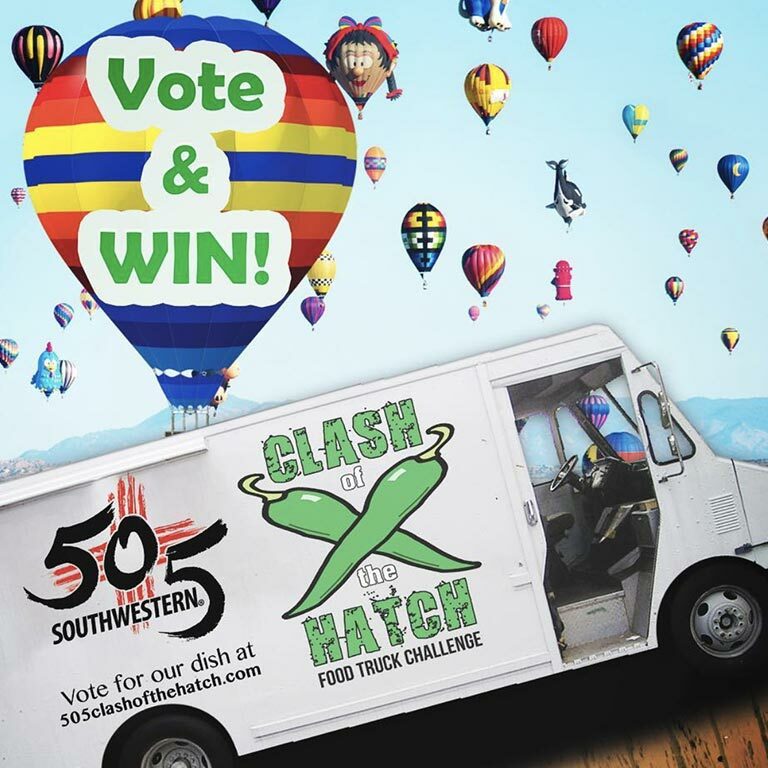 Celebrating the Hatch Valley green chile harvest season, the “Clash of the Hatch” will bring together 10 of LA’s most popular food trucks to compete to make the best dish possible featuring 505 Southwestern® Hatch Valley Flame Roasted Green Chile. The 10 finalists chosen to compete are Locol, Border Grill, Baby’s Badass Burgers, Grilled Cheese Truck, South Philly Experience, Vchos Pupusas, Chubee Monkey, India Jones, Dogtown Dogs and Wise Barbeque. Each truck is challenged to develop an innovative menu item that matches the truck’s food genre and style. Trucks are encouraged to drive awareness and sales of their item through social media and creative marketing. The truck with the winning item will be invited to the Flagship global research and development center in Burbank, California, to develop a version of their menu item as a consumer retail food product. 505 Southwestern® will work to distribute this product into retail channels, and the winner will receive 1% of the net revenue, subject to a minimum of $20,000 and up to a maximum of $100,000. Votes from fans matter. Fans can follow the trucks to taste the dishes and weigh in on who they think deserves to win. Other categories used to decide the winner are most innovative entrée item, social media participation, and the highest number of 505 Southwestern® units sold. “Our ‘Clash of the Hatch’ event is about engaging with LA’s best food truck operators to create awareness of our wonderful Hatch Valley Green Chile, how it can be used to make almost any dish taste great, and to just have some fun in a creative environment,” said Rob Holland, Chief Executive Officer of Flagship Food Group. “Clash of the Hatch” officially launches on August 15 and will run through December, with the winner being announced in January 2018. For more information and updates please visit www.505clashofthehatch.com and follow on Facebook @505chile, Twitter @505southwestern and Instagram @505southwestern.